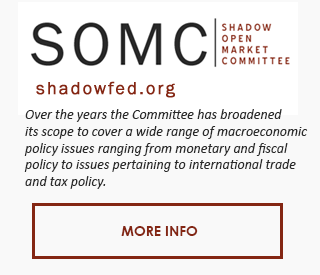 The Shadow Open Market Committee (SOMC) was founded in 1973 by Prof. Karl Brunner of the University of Rochester and Prof. Allan Meltzer of Carnegie-Mellon University. The SOMC is an independent organization whose members are drawn from academic institutions and private organizations. The original objective of the SOMC was to evaluate the policy choices and actions of the Federal Reserve’s Open Market Committee (FOMC). Over the years the Committee has broadened its scope to cover a wide range of macroeconomic policy issues ranging from monetary and fiscal policy to issues pertaining to international trade and tax policy. The Committee’s deliberations are intended to improve policy discussions among policy makers, journalists and the general public with the hope that wiser policy decisions will result. 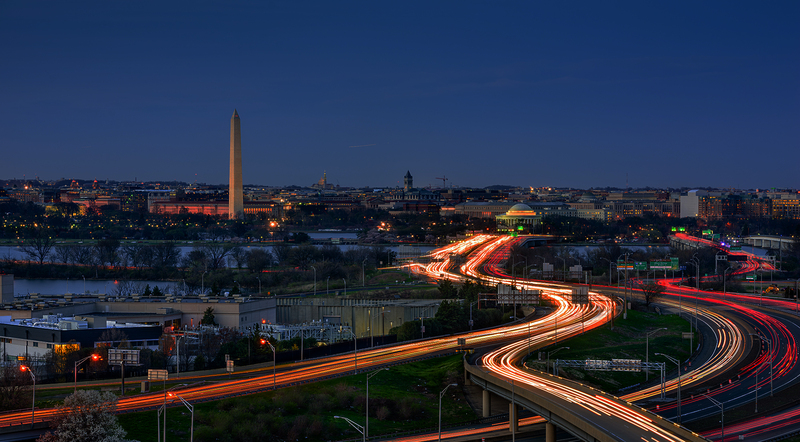 Since 1973, the SOMC has met on a regular basis to discuss economic policy. At each meeting a number of papers are prepared by Committee members on a variety of macroeconomic and public policy topics. Based on these papers and the Committee’s deliberations, a Policy Statement is prepared that summarizes the most important policy recommendations of the Committee. Each of these publications can be viewed in the interactive SOMC Archives. The views and opinions expressed by the Committee are its own and do not necessarily reflect the views of the organizations with which the members are affiliated or the sponsoring organizations. The Shadow Open Market Committee has partnered with E21 in order to advance these goals and ideals. Michael D. Bordo is Professor of Economics and Director of the Center for Monetary and Financial History at Rutgers University, New Brunswick, New Jersey. He has been a visiting Professor at the University of California Los Angeles, Carnegie Mellon University, Princeton University, Harvard University, Cambridge University where he was Pitt Professor of American History and Institutions, and a Visiting Scholar at the IMF, Federal Reserve Banks of St. Louis and Cleveland, the Federal Reserve Board of Governors the Bank of Canada, the Bank of England and the Bank for International Settlement. He also is a Research Associate of the National Bureau of Economic Research, Cambridge, Massachusetts. Charles W. Calomiris is the Henry Kaufman Professor of Financial Institutions at Columbia Business School and a Professor at Columbia’s School of International and Public Affairs. He is an adjunct fellow at the Manhattan Institute, a member of the Financial Economists Roundtable, a member of the Shadow Open Market Committee, and a Research Associate of the National Bureau of Economic Research. Professor Calomiris co-directs the Hoover Institution’s Program on Regulation and the Rule of Law, and is co-managing editor of the Journal of Financial Intermediation. His recent book with Stephen Haber, Fragile By Design: The Political Origins of Banking Crises and Scarce Credit (Princeton 2014) was named one of the 2014 books of the year by the Financial Times and by Bloomberg Businessweek. Professor Calomiris served on the International Financial Institution Advisory Commission, a Congressional commission to advise the U.S. government on the reform of the IMF, the World Bank, the regional development banks, and the WTO. His research spans segovernment on the reform of the IMF, the World Bank, the regional development banks, and the WTO. His research spans several areas, including banking, corporate finance, financial history, monetary economics, and economic development. He received a B.A. in economics from Yale University in 1979 and a Ph.D. in economics from Stanford University in 1985. Marvin Goodfriend holds the Friends of Allan Meltzer Professorship at Carnegie Mellon’s Tepper School of Business. Before coming to Carnegie Mellon he was Director of Research and Policy Advisor at the Federal Reserve Bank of Richmond, regularly attending meetings of the Federal Open Market Committee from 1993 to 2005. Dr. Goodfriend is a research associate of the National Bureau of Economic Research. He is a member of the Economic Advisory Panel of the Federal Reserve Bank of New York, and an Honorary Advisor of the Institute for Monetary and Economic Studies at the Bank of Japan. He is also a member of the Shadow Open Market Committee. Dr. Goodfriend is co-editor of theCarnegie Rochester Conference Series on Public Policy. He served as a senior staff economist for the President’s Council of Economic Advisors at the White House in 1984-5. Dr. Goodfriend holds a Ph.D. in economics from Brown University and a B.S. in mathematics from Union College. Gregory D. Hess is the President of Wabash College, a liberal arts college for men in Crawfordsville, Indiana. Hess is a graduate of the University of California, Davis, and earned master’s and doctorate degrees at The Johns Hopkins University. Prior to Wabash, he was Boswell Professor of Economics and Dean of the Faculty at Claremont McKenna College, the Danforth-Lewis Professor of Economics at Oberlin College and a University lecturer at Cambridge University and fellow of St. John’s College. He has served as an economist at the Federal Reserve Board in Washington, D.C., and has been a visiting scholar at the Bank of Japan, the International Monetary Fund, and the Federal Reserve Banks of Cleveland, Kansas City and St. Louis. His teaching and research interests include macroeconomics, public finance, monetary policy, and political economy. Peter Ireland is the Murray and Monti Professor of Economics at Boston College, a Research Associate at the National Bureau of Economic Research, and an Editor of the Berkeley Electronic Journal of Macroeconomics. Before joining the faculty at Boston College, Professor Ireland held positions at Rutgers University and at the Federal Reserve Bank of Richmond; he received his Ph.D. in economics from the University of Chicago in 1991. Professor Ireland’s teaching and research focus on macroeconomics and monetary economics, particularly Federal Reserve policy and its effects on the United States economy. Mickey Levy is Chief Economist of Blenheim Capital Management, a global money manager. He analyzes and forecasts US and global economic performance and financial market behavior and conducts research on monetary and fiscal policies. Dr. Levy is an advisor to several Federal Reserve Banks and has testified before US Congressional committees on topics concerning the Federal Reserve and monetary policy, fiscal and budget policies, economic and credit conditions and the banking industry. Prior to his current position, Dr. Levy was Chief Economist of Bank of America. He has also conducted research at the American Enterprise Institute and the Congressional Budget Office. Bennett McCallum is the H.J. Heinz Professor of Economics in the Tepper School of Business (formerly the Graduate School of Industrial Administration) at Carnegie Mellon University. His other activities include those of a research associate of the National Bureau of Economic Research, a Fellow of the Econometric Society, a member of the Shadow Open Market Committee, and an Honorary Advisor to the Institute for Monetary and Economic Studies of the Bank of Japan. He currently serves on the editorial boards of the Journal of Money, Credit, and Banking and Economics Letters. Athanasios Orphanides is a Professor of the Practice of Global Economics and Management at the MIT Sloan School of Management. From 2007 to 2012 he served a five-year term as governor of the Central Bank of Cyprus and from 2008 to 2012 he was a member of the Governing Council of the European Central Bank. Following the creation of the European Systemic Risk Board in 2010, he was elected a member of its first Steering Committee. Earlier, he served as senior adviser at the Board of Governors of the Federal Reserve System, where he had started his professional career as an economist. His research interests are on central banking, finance, and political economy and he has published extensively on these topics. He obtained his undergraduate degrees in mathematics and economics as well as a PhD in economics from MIT.